I haven't painted my nails in awhile (curses self for not making the time) but before that I was wearing lots of summer brights and pastels. Now we've hit Autumn I'm eyeing up darker and more muted shades, including the always loved glitter. I'm like a magpie when it comes to glitter nail varnish - the more concentrated the better! 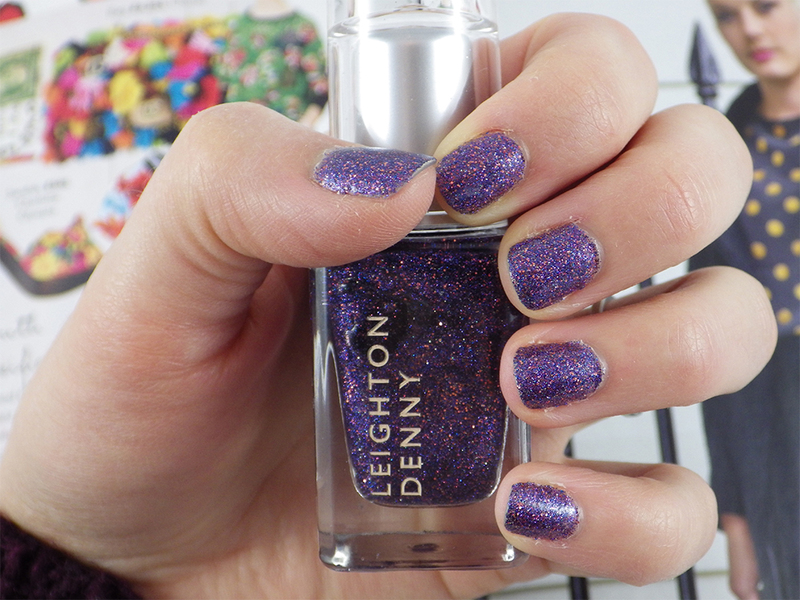 Currently adorning my nails is the beautifully sparkly Razmatazz by Leighton Denny, which is also my first ever nail varnish from this brand. This perfectly brings together the deeper hue and the sparkle I've been lusting after, all in one bottle. 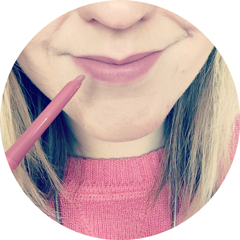 Razmatazz is a deep but vibrant purple, containing pink and blue glitter. The glitter is very small and concentrated, meaning the finish is quite smooth. I had to apply 3 coats to get the coverage I wanted and then added a top coat for a glossier finish, but the end result is absolutely stunning. If you fancy treating yourself to Razmatazz, it can be picked up for £11.00 from HQ Hair here. Have you tried any nail varnish from Leighton Denny? Will you be digging out the glitter for the colder months? I love this! Some nail polish with glitter are so freaking hard to apply. You don't always get to fill your fingernails with glitter. i never heard of this brand but the polish you choice looks fab! Uhhh, best product name EVUR!? Such a lovely colour! I find glitter polish always lasts longer which is good! Gorgeous mix of colors! I love glitter polishes for that extra pizzazz, but I hate the removal process lol!